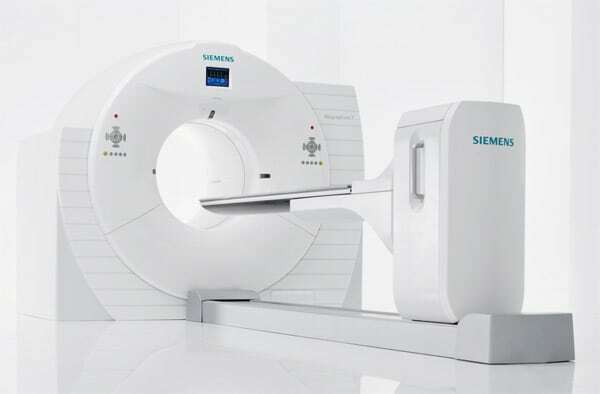 The Siemens Biograph offers superior PET/CT performance for improved disease diagnosis and treatment in oncology, neurology and cardiology. The LSO-based scanner integrates CT and PET technology into one flexible, high-powered medical imaging platform for versatility and image quality and performance. With a single, non-invasive procedure, the Biograph produces remarkable images, inherently registered, that reveal detailed anatomy and biological process at the molecular level.